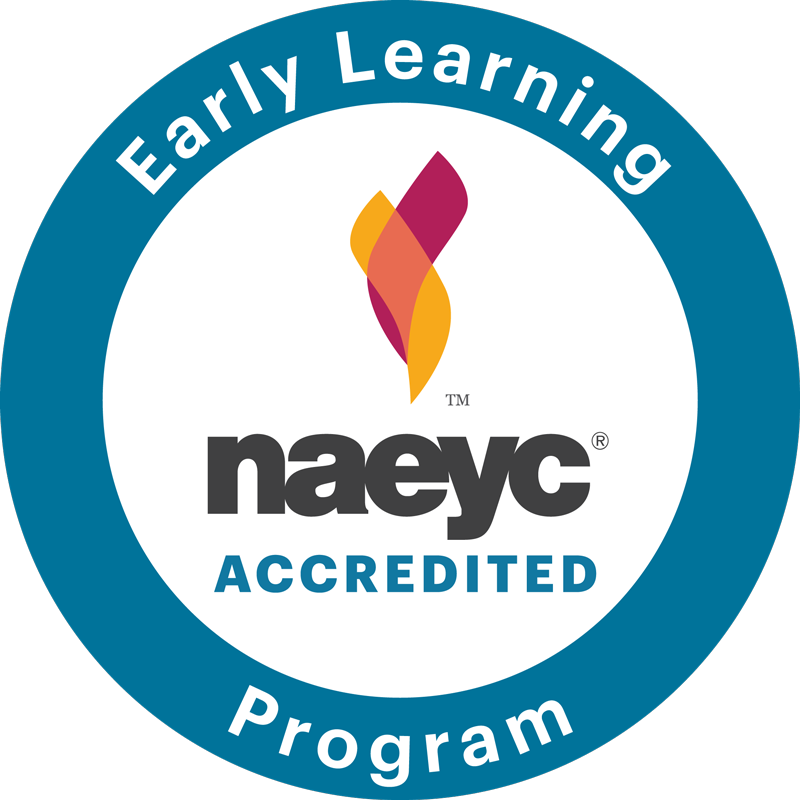 The Children’s Nursery School is proud and excited to announce that we have earned accreditation through NAEYC, The National Association for the Education of Young Children. This rigorous process was a wonderful opportunity to highlight our exceptional teachers and high-quality programming that have been beloved by Portland area families for over 40 years. The Children’s Nursery School is a cooperative preschool which means that parents and teachers work together to meet the unique needs of the children and bring in the special skills and abilities of the families to enhance our program each year. Over the past four decades, this program has been honed and refined with the efforts of each new cohort. Our co-op is led by two extraordinary teachers whose inspiring work has earned us not only the NAEYC accreditation but also the highest rating with The State of Maine’s Early Care and Education Quality Rating System. This program is anchored in meaningful school traditions and community connections and infused with inspiration from many Early Childhood philosophies and the world around us. We delight in and follow the children’s natural curiosity and we practice communication tools to support strong social and emotional development. We welcome community partnerships and involvement through several events during the year which can be found on our website www.childrensnurseryschool.org and our Facebook page www.facebook.com/CNSPortlandME.